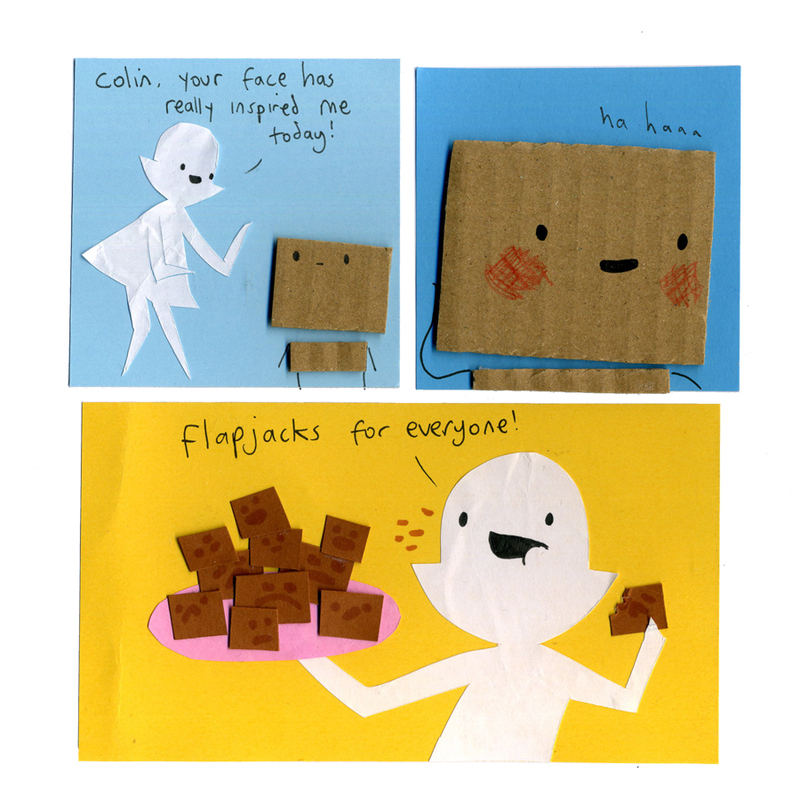 If you want to make some Colin head flapjacks too I put the recipe in the blog section. I love that guest comic! Did you see the photos by Anya too? (from the same guest comic week) http://mycardboardlife.com/1294 . They’re not the first 3D My Cardboard Lifes, I’d already made a few dioramas at that point, and some other 3D bits.